Are you a journalist passionate about cultural and linguistic diversity in Australian media? Do you want to discuss the interplay of news, diversity and disruption in an environment that is rapidly changing? We’re keen to hear about your personal experiences in the industry. We also want to hear how you think Media Diversity Australia can better support diversity in newsrooms. This is an opportunity to get media professionals together in an informal and intimate setting. You’ll be joined by Antoinette Lattouf, co-founder of Media Diversity Australia and award-winning journalist with Network 10 – who will moderate the discussion. 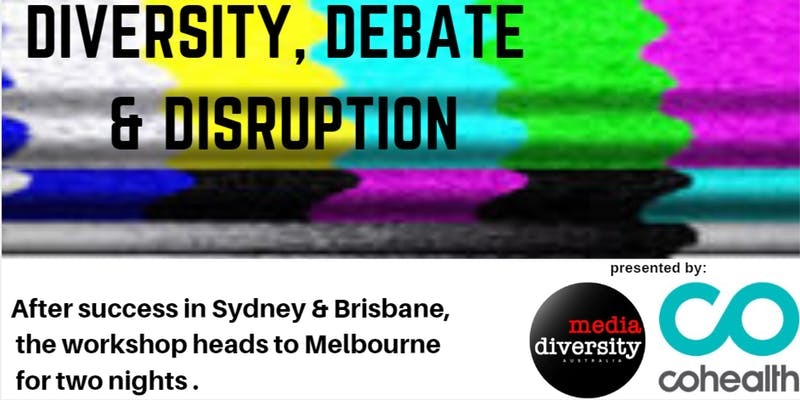 This is the third city in our national conversation series on Diversity, Debate and Disruption.